While I do have a basic knowledge of who Moby is, outside of that now iconic theme song for the Bourne series, I’ve never heard an entire body of work from him. Curious, I decided now’s as good as ever to give him a proper listen. Not really sure what to expect I was taken aback by just how melancholic and ethereal everything sounded. It’s a sort of atmospheric style of electronic music that’s more about evoking emotion than making a statement, punctuated by otherworldly synths and vocals that have been distorted and modified to the point that they don’t sound human. The overall feel of the album seems to revel in emptiness and hopelessness but still somehow manages to be beautiful and not overly nihilistic. Everything Was Beautiful, And Nothing Hurt is a mellow listen that doesn’t have anything nearly as bombastic as “Extreme Ways” but it’s equally parts lush and bare and has potential to evoke a strong emotional reaction. The title is a perfect summation of what the album’s 12 tracks have in store. Have you heard Everything Was Beautiful, And Nothing Hurt? What’d you think about it? Did it resonate emotionally with you? Let me know in the comments below and be sure to leave your own ratings and reactions to the album. 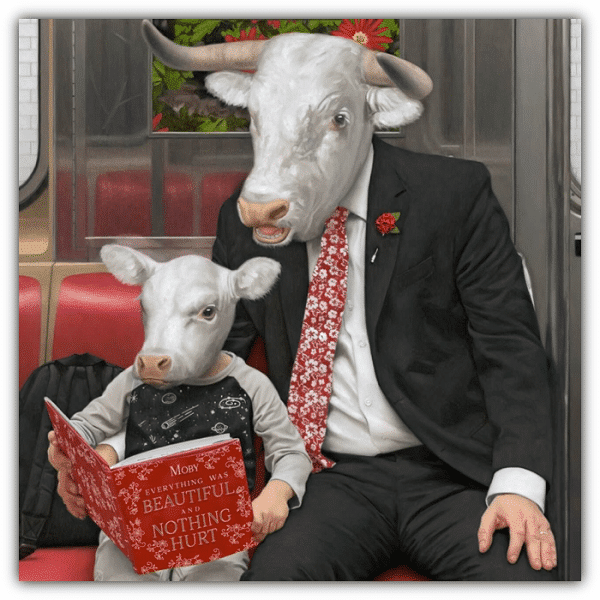 The overall feel of Moby's latest seems to revel in emptiness and hopelessness but still somehow manages to be beautiful and not overly nihilistic. It's a mellow listen that doesn't have anything nearly as bombastic as "Extreme Ways" but it's equally parts lush and bare and has the potential to evoke a strong emotional reaction. The title is a perfect summation of what the album's 12 tracks have in store.